Christianaudio, which is a great site run by a friend from San Diego, offers a free audiobook each month that you can download. This month, the featured free audiobook is Not for Sale by David Batstone. 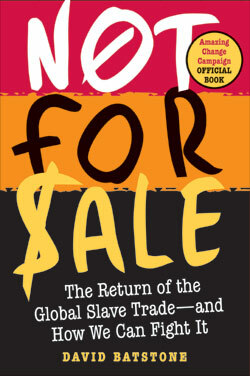 David leads the Not for Sale movement dedicated to ending human trafficking and slavery. I encourage you to support Christianaudio. They feature a wide variety of audiobooks, including a couple of free talks from NT Wright and Dallas Willard, that will help you make it through your rush hour commute!